Amidst serious dissent within Papua New Guinea's judiciary over the appointment of foreign judges to deal with prime minister Sir Michael Somare's alleged misconduct charges, chief justice Sir Salamo Injia has been called on to quit his job. Leader of PNG Party and Vanimo/Green MP Belden Namah said that in PNG's national interest, Sir Salamo should resign because he had no trust and confidence in his fellow indigenous National and Supreme Court judges to hear Sir Michael's alleged misconduct charges. "Sir Salamo's unilateral decision to appoint foreign judges to the prime minister's leadership tribunal is an insult to the intelligence and capabilities of our most loyal, dedicated and learned judges," Namah said. "It is an act of disturbing distrust and no confidence in the current serving judges, who are held with highest esteem by the wider PNG community. "It is not only an act of distrust, but undermining the profound statue of the very judges who uphold the integrity and independence of the judiciary - the third arm of government. "By having no faith, trust and confidence in PNG's very own judges, the office of the chief justice has been brought to disrepute, thereby demeaning that office. "It is no wonder that many judges were angered because there were no consultations among the judges." On February 21. 2011, Sir Salamo named three pre-eminent retired judges: Australian Roger Gyles as chairman of the tribunal with members, New Zealander Sir Bruce Robertson and British Sir Robin Auld to Sir Michael's leadership tribunal. Namah said he respected the three eminent judges, but was concerned of PNG's own judges not consulted and considered to be on the tribunal. As well, he noted with concern the comments by a senior judge, who wanted to remain anonymous that "the decision to overlook our own judges is open to all manner of justifiable criticisms"
"It is justifiable for people to think that our judges are incompetent, biased and bribable. "I feel insulted - what can the appointed members (of the leadership tribunal) do that I can't?" the judge said. Namah said the comments by the senior judge were very serious and should not be taken lightly and simply swept under the carpet and forgotten. "This is because it is generally accepted in PNG that if the other two arms of the government, the executive government and legislature (parliament) are non-functional, the judiciary remains the nation's beacon of hope" he said. "That hope, trust and confidence of the judiciary is now seriously eroded to the point that the general public is asking whether or not the judiciary has become a rubber stamp of the current Somare government. "With that backdrop, it is proper for the honorable chief justice to voluntarily resign in PNG's long-term national interest and restore the confidence of the third arm of government." Has Papua New Guinea descended into dictatorship? Wikipedia: A dictator is a ruler (e.g. absolutist or autocratic) who assumes sole and absolute power …. Concise Oxford Dictionary: Dictator – absolute ruler … who suppresses or succeeds a democratic government. The PNG Parliament has been suspended for the third time in a row, an action that has been claimed to be directly contravening the PNG Constitution. Surely one can but draw no other conclusion than Parliament has been suppressed. But has democratic government been suppressed? The Concise Oxford Dictionary goes a step further: 'government by the people, direct or representative; the politically unprivileged class. The last definition highlights that the 'unprivileged class', or everyday person, should be actually running the affairs of government through their elected representatives. However, does anyone really believe that in today's PNG, the unprivileged class or everyday citizen or even their elected representatives actually in control? If not, then who is in control of the country? '211. ACCOUNTING, ETC., FOR PUBLIC MONEYS. (1) All moneys of or under the control of the National Government for public expenditure and the Parliament and the Judiciary for their respective services, shall be dealt with and properly accounted for in accordance with law. In a recently-reported statement, a PNG deputy police commissioner publically identified that half of PNG's annual budget was lost to corruption. Amazingly, no government minister or representative rose to deny this statement or defend their responsibility to effectively and accountably govern PNG. Of course with parliament suspended, there could be no forum for this disastrous situation to be debated and fully examined could there? So can anyone really say that there is a government in control of PNG at the moment. If no one is obviously in control of the country then clearly there cannot be an existing dictatorship. Maybe there is reality, just a vacuum waiting to be filled. The changing skyline of Port Moresby continues with the magnificent new Petromin Haus at 2-Mile in Port Moresby, opposite Murray Barracks, which will be opened on Friday by prime minister Sir Michael Somare. Petromin today gave no costs for the building, except to say that all would be announced at the opening. “The building was pre-fabricated in Indonesia to Petromin specifications, and delivered, with all furniture and fittings, in containers,” according to the company. “This includes the cost of land, design, materials, fittings, furniture, and security features. “The building is one of PNG’s first green buildings, and has many energy-saving features, including climate control, insulated roofing, and reflective glass panelling. “It is designed to save energy. “The building was designed to company specifications by a Jakarta-based firm, and was constructed over a period of 10months. Petromin staff began operating from the premises on Jan 3, 2011. All divisions and subsidiaries of the company are located within the building, except for the Tolokuma gold mine administration, which is still based at Waigani. Petromin PNG Holdings Ltd is an independent company created by the state of Papua New Guinea to hold the state's assets and to maximise indigenous ownership and revenue gains in the mineral and petroleum sectors. It is empowered as the vehicle to better leverage the state's equity holdings and encourage more production and downstream processing of oil, gas and minerals in PNG through proactive investment strategies either wholly or in partnership with resource developers. A COUPLE in East New Britain has claimed that red ants have played a vital role in tackling cocoa pod borer (CPB) in their cocoa block, The National reports. They noticed a few weeks ago that the quality of cocoa that was covered with red ants was better than those without ants. “The quality of cocoa with red ants on them is good and creamy, and we believe this could be a possible solution to fighting CPB throughout the country,” they said. James and Bonnie Wartovo said they were amazed when they realised the difference when harvesting cocoa in the past few weeks. Another villager also claimed that ants were fighting CPB in her backyard cocoa block. She told The National that she had been monitoring her cocoa trees for a few weeks and later concluded, after several harvests, that red ants were fighting the borer. A scientist at the Cocoa and Coconut Research Institute (CCI), Dr Eremas Tade, said there was a possibility red ants were fighting CPB. He said black ants were used to fight CPB in Indonesia and Malaysia. Research showed that biological controls such as black ants were harmless to the pods and deadly to the borers. He said the claims made by these villagers were important and CCI would send a team to investigate these cocoa trees and to confirm the role of red ants in CPB management. MICHAEL Ogio was sworn into office as the ninth governor-general of Papua New Guinea in a colourful ceremony at parliament house last Friday, The National reports. Ogio made his entry to the front of parliament to a guard of honour by the PNG Defence Force with the combined band from the Royal Papua New Guinea Constabulary and Correctional Services pipes and drums. His arrival followed that of PNGDF Commander Francis Agwi, acting Speaker Francis Marus and wife, Chief Justice Sir Salamo Injia, Opposition leader Sir Mekere Morauta and Prime Minister Sir Michael Somare. The dignitaries were invited to the Speakers Lounge before being led to the parliament chambers. The chief justice was then invited by the acting speaker into the chambers to conduct the swearing-in ceremony. Vice-regal elect Ogio was then invited into the chambers where he placed his hand on a Bible to take his oath of allegiance, declaration of loyalty and declaration of office. Immediately after his swearing-in Parliament Speaker Jeffrey Nape, who had been acting GG until Friday, took up his chair in the chambers. Nape offered his congratulations and wished the new GG every success in the high office that he has been elected into. The leader of government business then moved that parliament at his rising be adjourned to 2pm on Tuesday, May 10. It was a snap session for the swearing- in that took about 30 minutes to end for parliament to go into recess for two months. Conspicuous by their absence was a large number of Opposition MPs. All the invited guest and dignitaries, including heads of diplomatic missions, were then invited to the State Function room where they offered congratulations to Ogio as the 9th Governor-General of PNG. Ogio will be travelling to Buckingham Palace next week to present his credentials to Queen Elizabeth II as her representative in PNG. The ceremony went ahead without any hitch after attempts to block the swearing-in was thrown out by the Supreme Court last Thursday. The Supreme Court dismissed the appeal by Ronald Rimbao to prevent the swearing-in ceremony after it was found that the appellant had no legally arguable case and that the court was satisfied that there was an abuse of process by the appellant. There has never been a greater need for more education on fraud, corruption and bribery, according to the facilitator of a week-long course on forensic accounting and fraud investigation. Prof John Oliga of the PNG Graduate School of Management said this yesterday at the end of a week-long course on forensic accounting and fraud investigation, organised jointly with the Australian Institute of Certified Management Accountants, which brought together participants from various government departments and statutory organizations. The course was the first of its kind in the country and was well attended by participants (pictured above) from the departments of Justice and Attorney General and Defence, Post PNG, PNG Forest Authority and self-sponsored participants. Presenters covered a wide range of topics including planning investigation, source of information, interviewing prospective witnesses, evaluating deception, admission-seeking interviews, signed statements, report writing and legal elements. "The objective of the programme is to get as many Papua New Guineans as possible to see the seriousness of the problem – politically, economically and socially – as the multi-billion LNG project gets underway," Prof Oliga said. "There is more and more corruption likely to take place. "It is also perhaps timely when the next general elections are coming in 2012." Prof Oliga said the recent revelation by deputy police commissioner Fred Yakasa that 50% of the national budget, amounting to a whopping K4 billion, was defrauded from the state by public servants underlined the urgent need to arrest the problem. "This programme will be running over the next couple of months in order for more participants to become aware of the enormity of the problem and perhaps begin to take pro-active action to arrest this national problem," he said. "This programme is unique, with nobody having done such before. "The problem (corruption, fraud and bribery) is widespread and can't be solved only by police. "The programme is really to help save the country from the ever-growing cancer of fraud. "We hope that when the participants go out from here, they will start implementing what they have learned here." PNGFA senior internal auditor Peter Peya concurred with Prof Oliga that there was an urgent need for more such workshops. "With all the fraud and corruption in PNG, we need to sharpen up on our skills and knowledge, and that will help us to undertake effective investigations," he said. "The presentation, however, has to be more tailored to PNG's needs. "Material should be from PNG experience. "That will place us in a comfortable situation, which we can understand and apply back in our workplace." Joel Dami, an accountant with justice and attorney general, said the course was an eye-opener. "This is the first time that we have attended a course like this on fraud investigation," he said. "Currently, we have the LNG project and a lot of other developments coming up in PNG. "The course is timely, so that we can have an idea of problems like, for example, the landowners fighting outside Vulupindi Haus." Labor Senator Conroy claimed in Foreign Affairs Estimates Thursday Feb 24, 2011, that "Indonesia is our closest neighbour". Papua New Guinea, of course, is Australia's closest neighbour (4km away at the narrowest point compared to closest point between Australian territory and Indonesia – 500km). Is Labor unaware of the existence of PNG? One remote community in Telefomin district in West Sepik province has given its backing for a major oil palm and rubber project. People from several villages in one of the country’s least-developed areas say they support the proposed agriculture project because it will open up more cash income-earning opportunities and bring in much-needed basic services including roads and enable accessibility to markets. Villagers, mainly landowners, told a public hearing conducted by the Department of Agriculture and Livestock that Telefomin had been neglected for too long and there had been lack of development and services for many years. Villagers from the rural communities have suffered from poor or inadequate transport and infrastructure, market accessibility, health, schools, police and social services. The public hearing was held at Worikori village in the Namea local level government early this month to seek the views of land and resource owners on the proposed Wammy rural development project, which aims to introduce a major oil palm and rubber project covering over 84,000 ha. Villagers from the project area had to walk for two days or more to reach Worikori in time for the hearing. Many people who attended, especially the elderly men and women, wept as the helicopter transporting the government team touched down. Visitors were given a traditional welcome including the rubbing of mud all over their bodies. Ward councillor Esorom Nasone, in welcoming the government team, said village people from rural communities suffered from lack of basic services and would welcome potential agricultural development which would be beneficial and open up opportunities. He said resource owners should realise that by making their customary land available to investors then they could expect to see changes in their livelihood. Managing director of landowner company Wammy Ltd, John Anis, said more than 3, 000 people from 25 villages were supportive of the proposed project which would also involve other agricultural crops besides oil palm and rubber. He said the project would lead to introduction of services to remote areas including roads, airstrips, and aid posts and improve marketing services. The project will have a big impact in the people’s lives and boost the local and national economy. He said the people had been crying for development over the years and this project would provide that opportunity and boost the image of Telefomin. Highlands Agricultural College is the country’s premier agricultural training institution, having produced many agricultural graduates over the years. The college, operated by the Department of Agriculture and Livestock has an important role to play in promoting human resources development in the agriculture sector and must be fully funded and resourced to carry out its role and functions effectively. Since its establishment some 37 years ago in Mt Hagen, the college has also trained many Pacific island graduates. It offers courses in post-certificate diploma in tropical agriculture, as well as short-term courses including certificate of attainment in agriculture (farming), certificate in agriculture, certificate of attainment in plantation operational skills, and certificate in in-service training (rice production). Since 2007 the college has taken the initiative and re-introduced certificate courses in agriculture and agri-business management courses for farmers and school leavers. These strategies are in line with the Government’s policies and plans including Vision 2050. The college has the capacity to train up to 150 students annually. However, the college is now facing a shortage of teaching staff and is seeking to recruit qualified personnel to fill in the vacant spots. A number of long-serving staff have been retrenched and the college management wants interested people with relevant qualifications and skills in agriculture education and training to apply. College acting principal Phillip Senat, whose position is also being advertised, confirmed that DAL was seeking suitable applicants to apply for the vacant positions which needed to be filled immediately. He said applicants must have a minimum qualification of bachelor’s degree in agriculture or equivalent to qualify with two to three years teaching experience. The vacant teaching positions include lecturers and senior lecturers in crops, livestock, management studies and rural engineering. Other positions include senior training officer, co-ordinator, senior AMT officer and farm manager. Senat took the opportunity to also pay tribute to six long serving officers namely Ablam Mawa, Any Yowano, Vela Koiari, Bernard Pahau, Robin Vogel and Karl Mondo for their commitment to the college. COMMUNITIES in the Rabaraba sub-district of the Milne Bay Province will now have access to improved crop and livestock varieties, thanks to a collaborative effort of PNG Sustainable Development Programme Ltd, National Disaster and Emergency Services and National Agricultural Research Institute (NARI). Under this collaborative project, NARI is introducing improved crop and livestock varieties in an effort to encourage farmers to adopt the improved materials to diversify their food production. 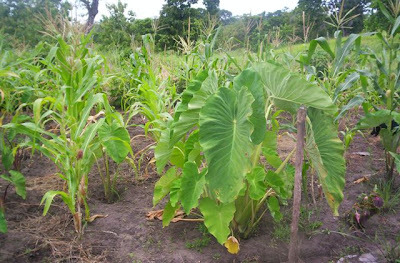 This project provides an opportunity for the community to grow a variety of crops and livestock for their own consumption with training on crop and livestock production, and on simple processing techniques provided by NARI. This food security project is aimed at alleviating the food shortages and malnutrition problems by improving crop and livestock production on a sustainable basis as the area is prone to drought and flooding. NARI-released technologies to be transferred under this project include African yam, taro, drought-tolerant and high-yielding cassava varieties, rice, corn, lowland early maturing sweet potato varieties, Muscovy ducks, village chickens and other suitable vegetables. Distribution of the improved material started last September and multiplication sites have been established at Rabaraba station, Yoguba village and Bogaboga in the Cape Vogel area. Project co-ordinator James Ernest said communities in the three areas had shown great interest and had assisted the project in establishing the multiplication sites. He said due to logistic problems, multiplication sites were being developed on a small scale as the improved materials were being supplied from NARI Southern regional centre at Laloki, outside Port Moresby. “Distribution of materials to farmers and the options to expand the sites would be considered once sufficient material is generated from the respective sites,” Ernest said. The project is being implemented in partnership with the provincial Department of Agriculture and Livestock, and community leaders who have volunteered to oversee the sites at Yoguba and Bogaboga. Establishing a resource centre at a central location is planned from where planting materials and other information will be distributed from. It is hoped that the outcomes of this project will also benefit other communities towards the inland and along the coast, as well as neighboring communities in the Cape Vogel area of the Makamaka local level government area. 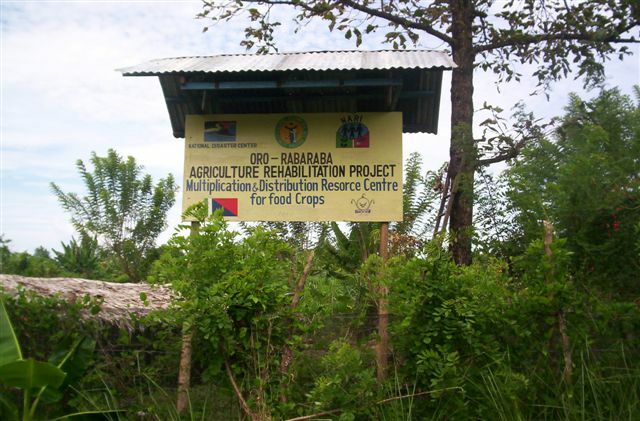 NARI is carrying out two other similar projects on M’Buke Island in Manus and Morehead in Western. Amidst the gloom, doom and despair of another series of blackouts in Port Moresby, I felt a sense of déjà vu, as I remembered a big darkness in Goroka in 2000. The good thing is that I wrote about the experience for The National in the Monday, May 15, 2000 edition for posterity and can always refer back to it for a memorable trip down blackout lane…and reflect on how things have taken a turn for better or worse over the last 10 years. I was then working for the Coffee Industry Corporation in Goroka, still had no children, and lived with my late wife Hula in North Goroka overlooking the roaring Zokozoi River, where we had so much fun. Those were the good old days when there were no mobile phones and no internet access like today. On any other day, it wouldn’t have mattered. But on State-of-Origin night, it amounted to a scandal. It would have been Armageddon! Angry fans could have ripped Goroka – infamous for rioting and where rugby league is a matter of life or death – apart. Conspiracy theories about Elcom (now PNG Power) and Telikom playing a joke on the residents of Goroka abounded that fateful Wednesday, May 10, 2000 during the opening State-of-Origin clash. The Bee Gees sang about the lights going out in Massachusetts. In Goroka that night, State-of-Origin time, it was worse: first the TV went off, then the power. From my hilltop abode overlooking the Zokozoi River, I could hear the whole of Goroka town erupting in protest. I know Goroka, and was bracing myself for all hell to break loose, all along putting my own words into the refrain of that revered Bee Gees’ hit… “and the lights all went out in Goroka”. This was State-of -Origin night, one of the most-important dates on the PNG calendar! It’s a time when the grog flows, when mate goes against mate from plush hotels in Port Moresby to an impromptu club on the slopes of Mt Wilhelm; when large amounts of money trade hands. And we weren’t going to watch it in Goroka! It all started after the 6pm EMTV news when there was an electricity surge and then, horror of horrors, the TV went off. The groans, needless to say, were deafening! The immediate theory, going from house to house, was that landowners had blown the repeater station on Mt Otto. Oh well, I thought to myself, at least we have the temporary reprieve of radio. But to rub salt into the wound, in a classic case of Murphy’s Law, the power went off at about 7pm. And by this time, tempers were flaring, Elcom and Telikom being mercilessly pilloried for this torture of Goroka residents. Origin blues had hit Goroka! I brought out the candles, lay down with Hula, and was settling into Tolstoy’s War and Peace (help, there’s going to be a riot in Goroka tonight) when at 8pm sharp – just as the game was about to begin – the power and TV were back. Oh, those roars of delight – which resounded through Goroka – would have drowned the 60,000-plus crowd at Stadium Australia. Or, was it divine intervention (for in my estimation, those tipsy fans in the many roadside clubs around Goroka could have found something to vent their frustration on, had it not been for the power and TV coming back on)? Miracles still happen, and they did, as the power and TV returned and my good old Blues won 20-16 with my favorite player David Peachey scoring the winning try in the 76th minute. “…and the lights were shining in Goroka”. Ten years on, residents of Port Moresby and Lae will have to put up with ongoing electricity blackouts in the short-term, says PNG Power chief executive officer Tony Koiri. They have been experiencing a spate of blackouts since last year, resulting in business houses and individuals losing million in business and private property such as electrical appliances, as well as experiencing security problems and many others. Koiri says while the blackout problem in Port Moresby will be somewhat alleviated by the end of this month with a new gas turbine at the privately-owned Kanudi power station in Port Moresby, Lae residents will have to be patient as the main station at Yonki in Eastern Highlands, Ramu 1, needed a complete refurbishment, similar to what was done at Rouna 2 outside Port Moresby. He says K50 million will be needed for refurbishment at Ramu 1 as PNGPPL looked to set up a new power station at Malahang in Lae to replace the outdated Milfordhaven station. No time frame for refurbishment work at Yonki, or when the new power station at Malahang would be built, were given. Koiri says Port Moresby currently needs 100 megawatts of power, however, only 54 MW are currently being supplied by Rouna, Kanudi and Moitaka power stations. “The main contributing factor is the huge growth in demand of electricity with all the developments,” he tells me. “Growth is running at about 10% (electricity demand) per annum. “This is a five-fold increase in electricity demand over the last two years. “We never envisaged that the growth would be that much. “All our planning was based on very conservative estimates. “A lot of cities around the world don’t even have 10% growth, maybe in countries like India and China, but not the others. “We need to quickly look at what generations options we have. “Things like, for example hydro projects, take about four years to bring on line. “Large thermal power stations take about two to three years. “For us, this can’t solve our problems, so we go for expensive options like putting up gas turbines, like the one installed at Kanudi. “We are hoping that this comes on line at the end of February. “As far as the city is concerned, we are meeting demand now, but for us to properly manage the huge power supply system, we need to build up redundancy. “We need about 24 megawatts of additional supply reserves to properly manage the power supply system in the city. “With the gas turbine in February and redundancy units, we should have enough to meet demands, at least for the next six to eight month. “By the end of this year, PPL needs to put in an additional 30 megawatts of diesel generation, just to meet increased demands and to have the reserves that we need. “In the long term, we are looking at developing Naoro/Brown River hydro project which will give us 80 megawatts. “We are anticipating, come 2015, for the power station to be up and running. “We are also hoping that by 2014, some gas from the first LNG project will be made available for power generation. “With these two projects, power supply in the city of Port Moresby will be secure from a generation point of view. Koiri says in Lae, the main problem is that PNGPPL’s main station at Yonki, Ramu 1, needs a complete refurbishment, similar to what was done at Rouna 2. “The refurbishment project should take two years. “Short-term solutions to the ongoing power outages in Lae are required. “We are investigating acquisition of a new power station at Malahang. “The power station will be sufficient to meet all of Lae’s requirements. Koiri says PNGPPL is hoping to sign a memorandum of understanding with Nambawan Super for some assistance. Meantime, stock up on the candles, and sing along with the Bee Gees! THE Supreme Court has spoken and that the Prime Minister, Sir Michael Somare, stands suspended from office, senior private lawyer Loani Henao told the NBC Talkback Show programme, The National reports. Citing the decision of the court last May in the matter of former finance minister Patrick Pruaitch (SCA 7 of 2010), Heano said a precedent had been set that the law in this matter had been decided upon conclusively and that there was no room for ambiguity. He said going by the ruling of the Supreme Court in that case, Sir Michael was effectively suspended and for him to continue to hold office as prime minister was “unlawful and illegal”. Henao said the PM’s suspension should have immediately taken effect the instant he was referred by the Ombudsman Commission via the public prosecutor and, ultimately, when the chief justice appointed a leadership tribunal on Monday. He added that that decision had made reference to all leaders, and made no exceptions, “because that is what the law says relating to the leadership code”. Quoting the three-judge Supreme Court decision last May, with references to sections 27 (appointment of tribunal members) and 28 (suspension of the leader), which stated: “In our opinion, this is consistent with the thrust and the Spirit of the Constitution that a leader, who has been found guilty of misconduct in office by the Ombudsman Commission, should not be allowed to continue to perform as a leader after his integrity is or has been called into question, and after a tribunal is named to inquire into allegations of misconduct in office. Henao acknowledged the reference made by the Prime Minister’s Department chief of staff Paul Bengo in a full-page advertisement, which the chief justice also acknowledged when announcing the tribunal, and pointed out section 142(6) of the Constitution, which make exception for a PM, and stated: “The prime minister may be suspended from office by the tribunal under an Organic Law made for the purposes of section 28, pending an investigation into a question of misconduct in office” but, Heano said, the Supreme Court decision last May had set the precedence for all leaders holding public offices. In reference to the statements made by Bengo, first legislative counsel Hudson Ramatlap and the chief justice, Henao said: “With the utmost respect (to them), I take issue with the attributes made by Chief Justice Sir Salamo Injia (relating to section 142(6) of the constitution. He also urged Ramatlap to read that decision (SCA No.7 of 2010). Henao said by continuing in office, the leader in question would also frustrate the work of the tribunal. In the Pruaitch vs Manek case last May, the Supreme Court had ruled: “The duly appointed tribunals will be left frustrated and unable to perform the tasks for which they are appointed – inquiring into matters of alleged misconduct in office against the people referred. “The leaders, meanwhile, will continue to perform their official duties by taking out stay orders at will against the tribunals from inquiring into their alleged misconduct. “This will make a mockery of the leadership code. The chief justice, when announcing the leadership tribunal, said the “question of suspension pending an investigation into the charges of misconduct in office against the prime minister will be determined by the tribunal”. The three-member tribunal, comprising court judges from abroad, will start on March 10. The prime minister continues in office. PARLIAMENT will meet this morning for the swearing-in of Governor-General-elect Michael Ogio after the Supreme Court dismissed a stay application yesterday, The National reports. The swearing-in would be the only business today when the chamber’s doors open at 10am. The office of the clerk of parliament said yesterday members of parliament would enter the chamber at 10am to be followed by the Chief Justice Sir Salamo Injia. The governor-general-elect would then, by procedure, be invited by acting Speaker Francis Marus to enter the chamber to be sworn into office. After the swearing-in, the new vice-regal would be escorted out of the chambers to take up his post at Government House. The Department of Foreign Affairs and Government House officials were making arrangements for Ogio to travel to Buckingham Palace to present his credentials to the Queen. Leader of government business Paul Tiensten had stated that the swearing-in ceremony would be the only government business and parliament would be adjourned to May 10 for the normal session. An attempt by one of the GG candidates, Ronald Rimbao, to stop the swearing-in was rejected by the Supreme Court yesterday. In rejecting the application, the court said there was no legally arguable case and that Rimbao had abused the process in the proceedings. The Supreme Court bench comprised Deputy Chief Justice Gibbs Salika and Justices Derek Hartshorn and Ere Kariko. Rimbao had relied on his proposal for nomination which he had submitted to the clerk of the parliament on last May 28 when the position became vacant after former GG Sir Paulias Matane’s term expired. Sir Paulias was reappointed but a Supreme Court hearing ruled against it. New nominations were called but Rimbao did not submit any, thinking that his May 28 proposal for nomination would hold ground. The Supreme Court yesterday rejected Rimbao’s stay application citing the appellant’s failure in submitting a new proposal and that it was not the clerk’s duty to hand out forms to candidates. Outside the court, Rimbao’s lawyer Philip Ame said he would be seeking further advice from his client whether to pursue the matter on other relevant grounds, adding that the matter was obviously “down but not out”. Ame said for the parliament to allocate less than two days to nominate candidates was still another questionable matter in court. “Constitutional processes are being bulldozed for unknown reasons by the government and is dangerous for the country,” Ame said, while referring to the alleged speedy nomination that saw Ogio elected. The sacking of acting public prosecutor Jim Wala Tamate by attorney general Sir Arnold Amet has the fingermarks of prime minister Sir Michael Somare all over it, opposition leader Sir Mekere Morauta said today. “Sir Arnold’s explanation that the decision to sack Mr Tamate was made by the Judicial and Legal Services Commission based on incompetence of Mr Tamate was an insult to the intelligence of Papua New Guineans,” Sir Mekere said. “That explanation is designed to camouflage the real reason from the public. “The public perception is that the real reason Mr Tamate was sacked was because he had the guts to refer Michael Somare to the chief justice with a request to establish a leadership tribunal. The opposition leader said many people were surprised by a series of advice that the attorney general had given to the Government so far. “How could the prime minister forget this when he participated in the election of every single governor general since independence? “It is incredible how some people can do anything, knowingly, just to hold onto power. “When that decision was challenged in the Supreme Court, by an aggrieved party, it was Sir Arnold, again, who advised the prime minister and the government that the court had no power to direct the parliament to be recalled or to interfere with the business of parliament. “The attorney general for some reason forgot to advise the prime minister that the court was interpreting the law. “The court is empowered by the constitution to carry out that role. “Many people are beginning to see the attorney general as a puppet for the prime minister. “He is being pushed and pulled into positions and postures predetermined by the prime minister. The opposition leader said that with Sir Arnold’s appointment, many people hoped that he, with his knowledge and experience, would put a halt to Somare’s highly developed and well-oiled practice of abusing the processes and role of the state institutions. Sir Mekere said that the general public remained hopeful that Sir Arnold would do something about fighting the growing corruption and abuse taking place in the public sector. “Sir Arnold’s performance to date gives little hope. Sir Mekere said the public should salute Mr Tamate for his courageous decision to refer Sir Michael to answer alleged misconduct charges. “All he was doing in requesting the chief justice to establish a tribunal was fulfilling his constitutional duty and obligation. “Mr Tamate was legally required as the acting public prosecutor to do so. “All his predecessors have failed spectacularly to do what he did. “Mr Tamate is a true professional, who has practised his profession without fear and favour. “He has set a good example for other public servants to follow. “It is sad that he has paid a very high price for carrying out his duty to the country honestly and fairly. “He should remain a proud Papua New Guinean who has been a true public servant. Sir Mekere urged the prime minister to act like a true leader and allow the institutions of state and public servants to carry out their duties without fear. He urged the prime minister to stop appointing people who are expected to be puppets and blindly dance to strengthen and preserve Somare’s power base. “People are fed up with Somare and his puppets. A NATIONAL Court judge in Papua New Guinea has blamed the failure by state agencies on individuals operating the systems of government, The National reports. Justice Ambeng Kandakasi said the finance and legal offices were no exception to this sad fact, which is a shame for the country. These sentiments were expressed while hearing a complaint by PNG Defence Force ex-servicemen against the state and its finance office for declining to release the complainants’ 8% interest on their retirement claims. Counsel for the ex-servicemen had told the court that a resolution had not been reached during the mediation process because the state had changed its stance in the negotiations. The court was told that while the state had agreed to pay the 334 claimants their entitlements, with some yet to be paid, the 8% interest would not be entertained. The 8% interest, the Department of Finance said, would only be paid if there were further submission of claims. Kandakasi said he thought the matter was straight forward and that both parties had reached a consensus; instead of a stalemate. He added that the financial arm of the state seemed to be functioning for a few people and millions of kina had been released without delay upon their requests while the ordinary people were given a run-around. The judge told the ex-servicemen to check with the office of the state solicitor to make sure they were paid their entitlements. On the 8% interest, Kandakasi said the matter could be raised in court later if the ex-servicemen wished to do so. PRIME Minister Sir Michael Somare yesterday wrote to his counterpart and New Zealand prime minister John Key, expressing deep sorrow and regret over the loss of lives and property as a result of an earthquake that struck Christchurch on Tuesday, The National reports. “On behalf of the government and people of Papua New Guinea, I convey our deep sorrow and condolence on the terrible loss of lives and destruction caused to properties and public infrastructure following the devastating earthquake that struck the city of Christchurch. “As your people mourn this tragic loss, we pray that the Almighty God will guide, console and grant strength to the immediate families and relatives affected by this catastrophe during this time of bereavement. 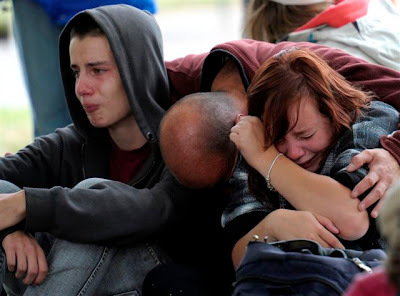 “I am confident that the strength of spirit and resilience of the New Zealand people, which has seen them overcome previous natural disasters, will see them through this tragedy,” he said. He said PNG valued its bilateral ties with New Zealand. A number of PNG students are studying in New Zealand, but it could not be ascertained yesterday whether any attended colleges in the Christchurch or Canterbury region. However, latest Radio Australia report said a night-time curfew came into force yesterday across much of quake-ravaged Christchurch, with the grim likelihood of a rising death toll hanging over rescuers desperately searching for survivors. The number of confirmed dead from Tuesday’s 6.3-magnitude quake remained at 75 with more than 300 missing, officials said. Radio Australia reported that for the first time in its history, New Zealand was in a state of emergency. Military and police personnel were patrolling the centre of the city. There have been more than 110 aftershocks since Tuesday’s quake and the cost had been estimated to be as high as US$16 billion – double the damage bill of the quake that hit Christchurch last September. THE national government has already started implementing the guns committee report, acting Chief Secretary Manasupe Zurenuoc said yesterday, The National reports. Zurenuoc said contrary to a claim by Transparency International (PNG) in the media this week, the report recommendations were being implemented with the Department of Prime Minister and National Executive Council the lead coordinating agency. “The Police Department has already started implementing some of the recommendations concerning the issuing of firearm licences, the transfer of licences and updating of firearms databases,” he said. “It would be amiss of the watchdog to allege that nothing is being done when a team comprising representatives from a cross-section of society, which includes representatives from civil society groups, has already been set up to further elaborate on the implementation of the recommendations. “We have already started the ball rolling. Zurenuoc said the biggest problem facing the government was not so much the use of licenced weapons but the containment of illegal firearms that are currently in use. “The Department of Prime Minister and National Executive Council is preparing a critical analysis of crime statistics for 2009 and 2010 to determine baseline data of crimes committed using firearms. “This will help in the implementation of the recommendations,” he said. This week, TIPNG claimed that the government had failed to act on the recommendations, leaving the people open to gun violence. It said because of this failure prominent people had been seen to be involved in disputes in which weapons had been discharged. “The problem reaches all sections of the community with far too frequent examples of privileged and intelligent people carrying and using weapons in public places,” TIPNG said. ﻿ GLOBAL climate change poses great risks to poor people whose livelihoods depend directly on agriculture, forestry, and other natural resources. Global organisations and governments have already taken steps to change their focus to assess, adapt and mitigate these risks. Strategies and policy reforms to enhance human welfare in an equitable and sustainable ways are taking centre stage. Programs and projects are being undertaken at various levels to analyse the complex interrelations between climate change and agricultural growth, food security and sustainable use of natural resources. The International Food Policy Research Institute (IFPRI) is one such organisation that is focusing its efforts to identifying the key drivers of climate change and how these drivers will impact on food and agriculture systems, and food security. IFPRI is identifying solutions to these challenges by focusing its research agenda on reducing poverty, hunger, and malnutrition is in a sustainable way. Through its analysis on the factors influencing climate change and policy on food production systems and ongoing research, regions and sectors that are more likely to be vulnerable to climate change are determined. And the Pacific Islands countries have been identified among the vulnerable regions to climate-driven environmental changes. As such, the Washington-based Institution has extended its research to the Pacific to examine the linkages that connects the environmental change to the welfare of the people, to reveal the impact and develop possible adaptation strategies to reduce vulnerability. 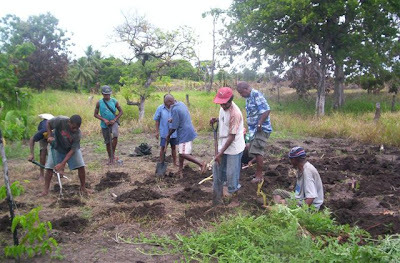 Through its Environment and Production Technology Division, it has launched a project titled “Climate Change and Food Security: Adaption Mechanisms and Policy Recommendations for Sound Economic Livelihood in the Pacific” covering Fiji, Solomon Islands and Papua New Guinea. 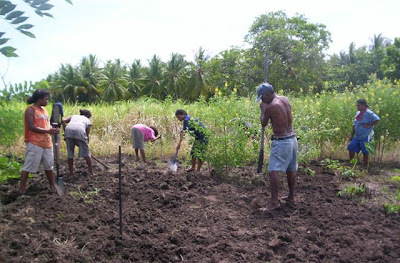 The project which started last October and ends in September 2011 will assess the impacts of climate change on food security, availability, and accessibility, and how this influences the livelihood of Pacific island communities. Funded by the Pacific Department of the Asian Development Bank, it will determine potential adaptation mechanisms and coping strategies that will ensure food security and enhance livelihoods for the rural communities. The project will recommend policy options for agriculture, fisheries, and food security to strengthen the support from national governments. The recommendations could also be used to seek technical and financial assistance from regional and international organisations to assist rural communities facing climate change. Research Analysts, Ms Rowena Valmonte-Santo and Ms Catherine Chang were in the country early this month to start the Papua New Guinea leg of the study and held preliminary discussion with various agencies including the: National Fisheries Authority, Department of Agriculture and Livestock, National Statistical Office, National Weather Bureau, Office of the Climate Change, and the National Agricultural Research Institute. The research will be carried out by developing country case studies. It will involve survey of experts, farmers, fishers, community groups and relevant agencies. Suitable secondary data on agriculture and fisheries and other related information to food security and climate change at country level will also be identified and compiled. Data on land use and land cover, biophysical (fluctuation in sea level, soil fertility, water availability, elevation), socioecomic indicators (crop prices, population, poverty, nutritional information, consumption) and other related data will be compiled. The data compiled would then be used to analyse the impacts of climate change on agriculture and fisheries. Team leader, Ms Rowena Valmonte-Santos said the responses to climate need to occur on several levels, including crop and farm-level adaptations, national level agriculture-related policies and investments, and regional and global policies and investments. She said to indentify both short and long-term adaptation measures that reduces the impacts of global change, her team will work with local partners and stakeholders to characterise their vulnerability through focus-group interviews and household surveys. “A series of workshops will also be organised to bring together partners to develop and analyse scenarios for vulnerable communities and assess the effectiveness and relative costs, and benefits of response options and adaptations strategies. IFPRI would also assist to enhance regional and national adaptive capacity by facilitating exchange of insights and experience among researchers, and by building capacity in national research institutions, Ms Valmonte-Santos added. In PNG, the Office of the Climate Change was created to take lead in matters relating to climate at the national level. It is hoped that some of the policy recommendations generated by this study to tackle food security threats will be bulit into the national plans. National Agriculture Research Institute (with other agencies) and NGOs have developed initiatives aimed at increasing awareness, generation and adaptation of appropriate technologies. NARI is taking the lead in mitigating the impact of climate change on agriculture and food security. All these initiatives and those of others need to be supported. As a country, PNG has to move forward. Concerned agencies need to come together and discuss adaptation strategies. There is a need to identify and discuss the issues of difficulties the country face in adopting sensible policy options, and how these issues and political obstacles can be overcome, if possible. Policy interventions are required to combat climate change, improve agricultural and fisheries production, and alleviate the socioeconomic conditions of the rural communities and vulnerable groups, especially women. Hopefully, useful recommendations generated from this study will provide policymakers and stakeholders with the tools for making informed decisions on adaptation mechanisms and coping strategies.